Our customers enjoy top-notch service whether it’s same day emergency service or scheduled preventative maintenance. Each of our service vehicles are fully stocked with common replacement parts and supplies needed to maintain a clean and healthy tank. This saves our customers down time and money with fewer return trips. Anthony Almeida is the current owner of Crystal Clear Aquarium Service, the largest lobster tank service company in the Northeast. For the people that know him, they are likely not surprised that things ended up this way. Anthony has always had a love for the ocean and sea life. From fresh and salt water aquariums throughout his childhood, fishing in ponds when he was young, and many deep sea fishing trips and tournaments as an adult, it was hard to keep him away from something he was so passionate about. What wasn’t expected was how his mechanical skills and what you could call a hobby helped Anthony create a company that recently celebrated 20 years in business. When Anthony was 18 years old he worked for a local family owned supermarket, Genuardi’s. After he had been there about 9 years moving into various management positions, he knew he wanted a change outside the industry but wasn’t sure what his next move was going to be. One night in 1995 Anthony struck up conversation with a repairman who was fixing a lobster tank in the store. As he looked underneath and started asking a few questions, he knew he could easily repair the tanks and even enhance the service being provided. Anthony decided to approach the store’s maintenance supervisor and ask if he could have an opportunity to repair the tanks for a better price. They decided to give him a chance and initially made him responsible for the lobster tank maintenance at five of their stores. For the next four years, Anthony was working his day job and fixing lobster tanks at night. By 1999 Anthony had contracts with 27 Genuardi’s stores, all ACME stores and numerous A&P stores. Anthony decided to pursue his business full time. He took on a partner and began building and manufacturing custom seafood tanks and aquariums in North Jersey. He was now operating in multiple states as well as building large custom salt water aquariums for personal clients, restaurants, and even movie productions. 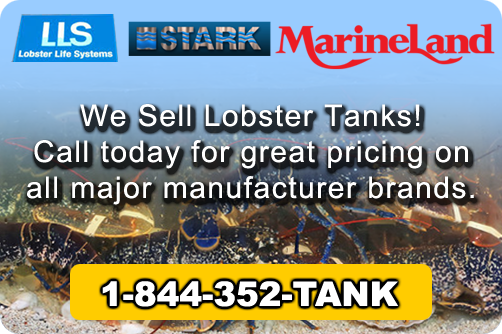 By 2004, Anthony made the decision to focus solely on commercial lobster tanks and produce mister services and sell his interest in the custom aquarium division. 20 years later, Anthony is proud to claim that Crystal Clear Aquarium Service is the largest lobster tank service company in the Northeast. His team works with every major supermarket in nine states; NY, CT, PA, NJ, DE, MD, VA, WV and FL. In 2016 he decided to manufacture his own lobster tank supplies and provide this as an additional offering to his customers as well as an online experience for future clients. Anthony’s goal is to take Crystal Clear Aquarium Service national over the next 3 years by providing service technicians across the country as well as a facility capable of manufacturing and shipping supplies on demand. Anthony has long been considered an expert in the industry and a trusted partner who looks out for the best interest of his employees and his clients. He continues to be excited about looking for innovative ways to provide his services.